We are engaged in offering Formwork and Shuttering Systems that can also offer customized form works for our clients as per their requirements. 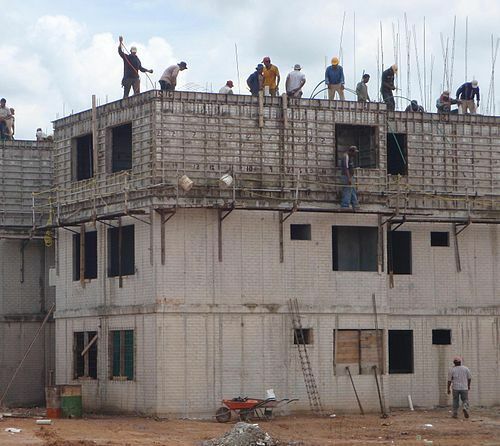 We use high grade raw material in the process to ensure sturdy construction and ability to bear inconsiderable forces generated by wet concrete. These products & accessories can be used on all types of building construction environment, thus meeting the construction based needs arising at clients'' end. 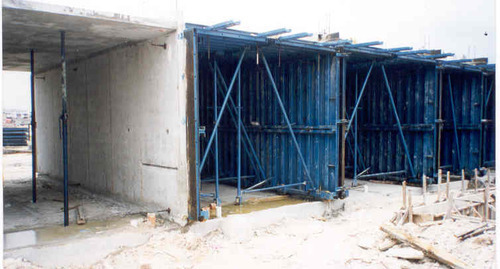 In case placing panels face to face is not possible and thus Tie rods cannot be used, the concrete pressure has to be withstood by additional external structures. We have varoius system solutions. 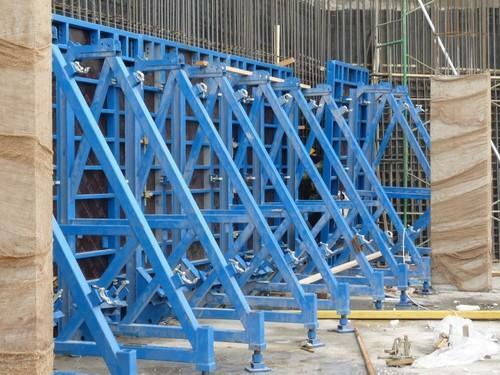 It is a Innovative system for Formwork in self climbing arrangement with anchor bolts, tilt up struts, soldiers & brackets. Bajaj Tunnel Form is a system that allows casting of walls and slabs in one operation on a daily cycle.Construction duration are reduced significantly by this rapid system when compared to conventional methods. Tunnel Form System brings speed, quality and accuracy to concrete construction and provides big savings in finishing. The system creates efficient load-bearing structures which are known as the most earthquake resistant structures. 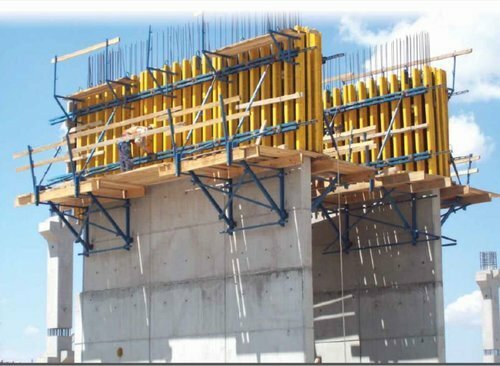 Table Form is an innovative system for slab formwork for faster construction of slabs reducing labor of staging / centering with help of tower crane hook attachments & lifting trolley. 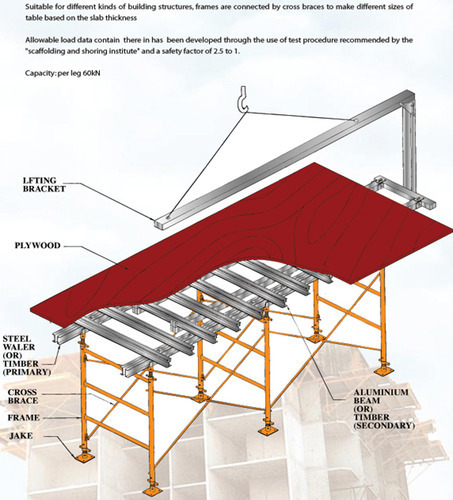 Using this unique formwork, all walls, floor slabs, columns, beams, stairs, balconies, together with door and window openings are cast in place in a single site based operation. The resulting building structure is very strong, accurate in dimensions and tolerances, with a high quality of finished concrete surface. It is fast, adaptable and very cost effective. We offer various type of Plastic Form sheets. These can be used like shuttering ply. * Better protection from labor mismanagement like burning etc. 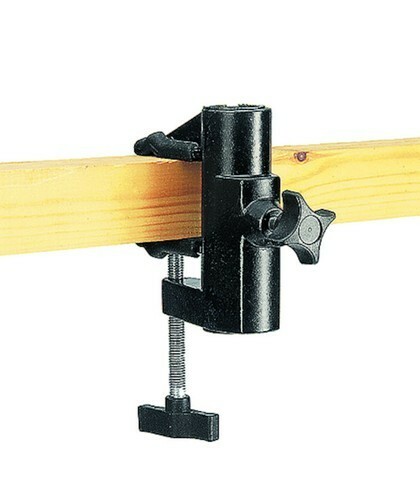 We offer beam clamps for tightening of Beam shuttering arrangements. These can be used in wooden as well as steel shuttering. Avail from us Rapid Clamp and Column Clamp that are used with mild steel rods and provide a cheap, effective clamping system that has no nut or bolt and leaves no expensive ties in the concrete. The concrete, the wedge of the clamp though made from mild steel is also available with heat treatment for long life. Available in various specifications, these Rapid Clamp and Column Clamp can also be customized as detailed by the clients. Further, we offer these Rapid Clamp and Column Clamp at industries best prices. 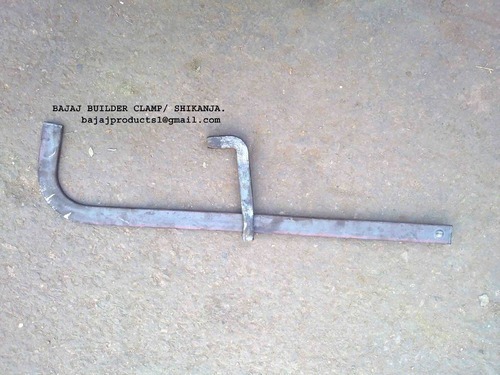 We manufacture shukanja or builder clamps used for holding shuttering for Beams as well as columns. 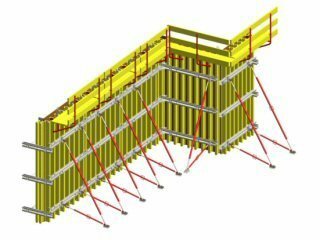 The basis of the wall formwork is the H 20 timber beam. The H 20 beam is sturdy, easy tohandle and at a weight of only5.0 kg/m offers a high loadbearingcapacity at largedistances of walers. 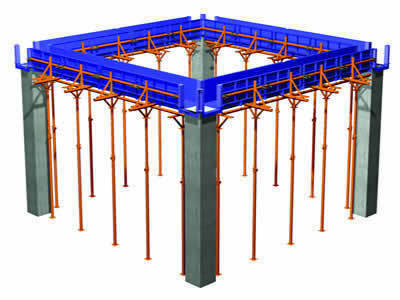 We offer formwork for PQC / Concrete Roads . The Shuttering panels have provision for Dowels & Have supporting struts to withstand pouring pressure. The system is fast & gives good surface finish. We offer steel wailers in C sections. These are used to hold form work panels / shuttering plates / shuttering ply. They act as primary beams to used with Tie Rod to hold the form work. 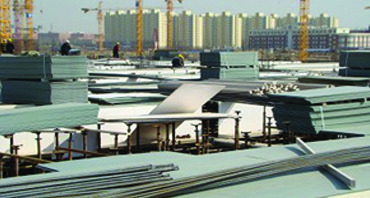 We are offering an exciting range of Shuttering Plate. 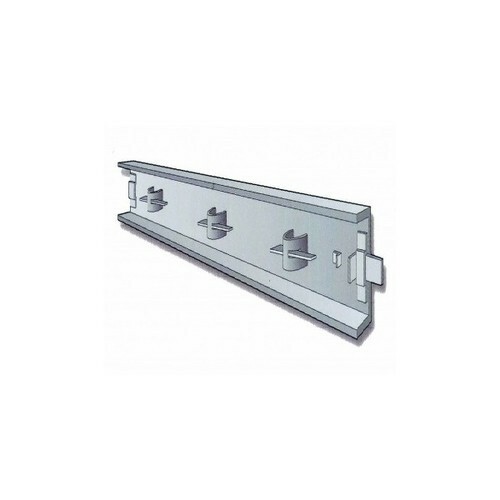 This shuttering plate offered by the company are made up of supreme quality mild steel. 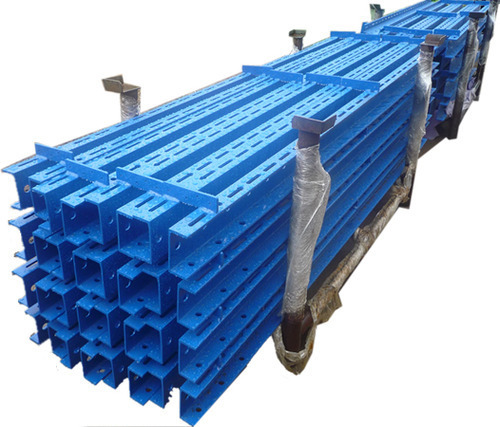 Highly recommended to be used at places of large construction sites, our shuttering plates are highly durable and good in strength and presents excellent finish. An efficient way of Heavy duty pouring with long heights & large area. It consists of Heavy Duty Soldiers & wallfform system accessories with primary walers. We bring forth Wing Nut and Anchor Nut, which is acknowledged for their corrosion and abrasion resistance. Highly durable in nature, our products find application in both industrial as well as domestic purposes. Owing to the unmatched quality our products are demanded across the globe. Further, these are available in various specifications and can be customized as required by the clients. 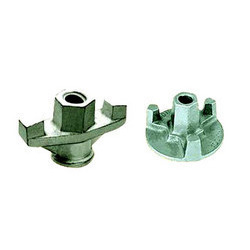 Furthermore, we offer these Wing Nut and Anchor Nut at industries leading prices. 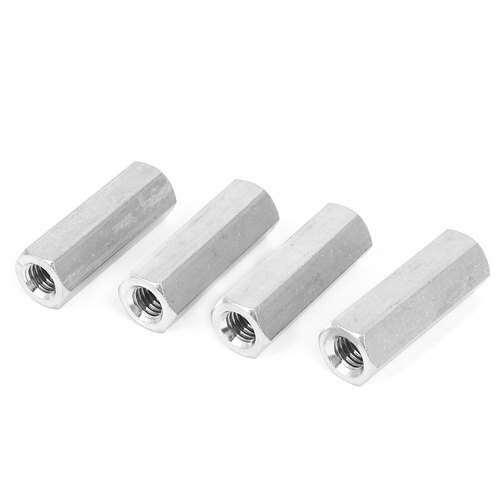 We are offering a wide variety of tie bar connector that is engineered at par with industrial standards. Available in a variety of technical specifications, our products are highly economical as compared to the other ones offered by our competitors. Further, these are highly appreciated by the professionals in the industry as we offer this Tie Bar Connector & Hex Nut in various specifications and at industries leading prices. We offer our clients Water Stopper - With Disc/Without Disc that is designed to meet specific requirement of building industry. It essentially is a device against possible risk of discomfiture that tends to be caused in concrete structure following climatic, Geo-disturbances and frictional impasse. These Water stopper are used in concrete masonry construction of hydraulic structure to safeguard from hydrostatic pressure and water seepage. 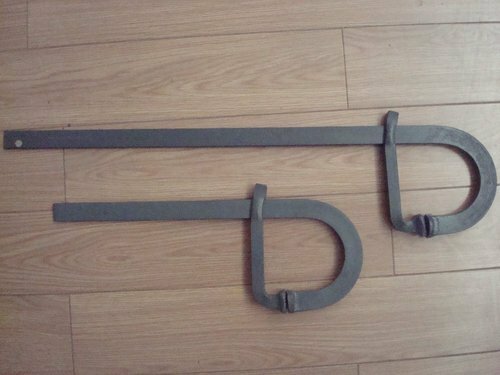 These are used with Wall Form systems & are helpful in heavy duty pouring , Tie Rods & Climbing brackets are used along with the soldiers. We offer clients quality range of Tie Rod and Waller Plate that is used as a tie and in most applications is also capable of carrying tensile loads. Further, our range meets the application requirements in trucks and cars, and we can make them available in both standard and customized specifications. 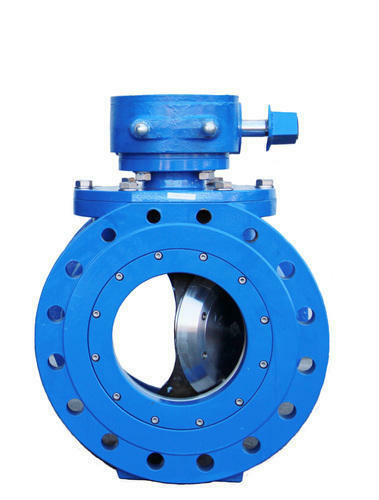 Further, these are widely appreciated for its durability and long service life. 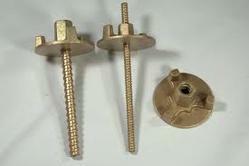 Furthermore, we offer these Tie Rod and Waller Plate at industries leading prices. 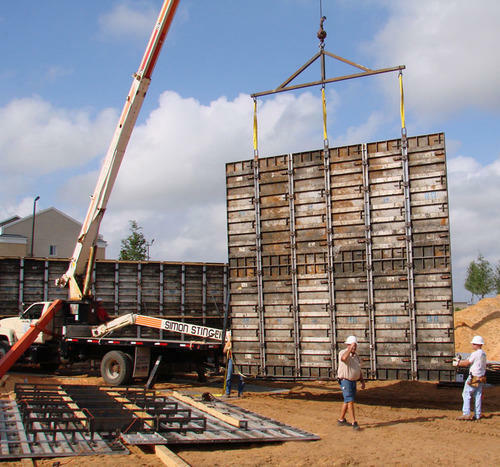 Looking for “Formwork and Shuttering Systems”?